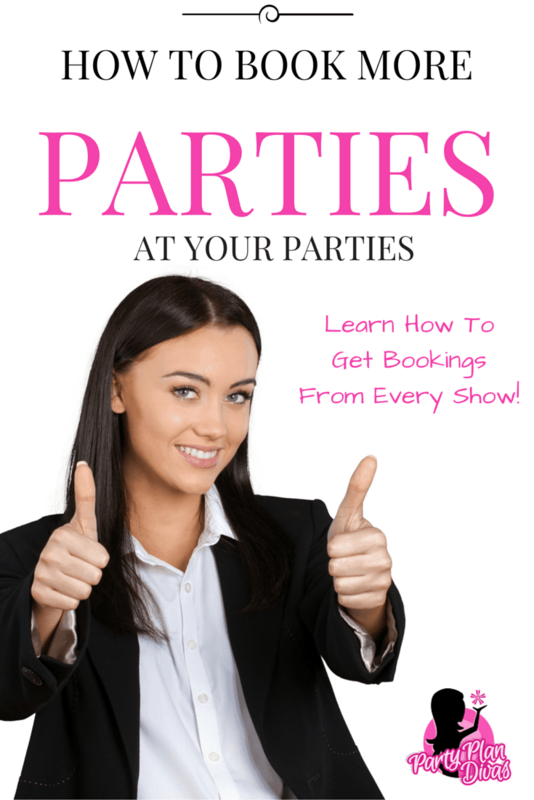 Bookings are the lifeline of the direct sales business – so making sure that you book parties from every single party that you hold is the best way to keep your business going! But how do you get people at your parties to book? There is an art to booking parties, and the good news is it can be learned by absolutely anyone! In fact, the better you get at it, the more parties you will book! You may even have to recruit more consultants to keep up with the demand! Talk about a good problem to have! One way to book more parties from your parties is to look for specific traits from each party goer, to offer the right incentive for them! Read on to learn more about how to “pre-qualify” your new Hostesses! People want to host In Home Parties for different reasons. Some want to earn free goodies, some are looking for a night with their friends, some are looking for a way to support either the Hostess or the Consultant with a party. As the Consultant, it is your job to figure out exactly WHY someone would want to book a party with you, and then create the solution by offering that exact opportunity. Just like how our products are designed to solve a need, so is the opportunity to hold a party. How you approach each of these “potential hostesses” will vary, and it is your enthusiasm and excitement that will help to close the deal. For the “social butterfly” of the group – you would talk about how much fun your parties are, and how its tough especially this time of year to get friends together when they aren’t busy with everything else. Talk about how you can have a “wine and cheese” party and have some much needed “girl time” away from the family stressors of the summer/holidays/whatever. Have her connect with the idea that her party would be a fun event to get her friends together – plus make shopping easy AND she gets some free goodies as well. For the financially stressed shopper – highlight the hostess rewards and items she can receive free. She loves the product, offer a simple solution for how she can earn them without money out of pocket. If it is near the holidays talk up gift giving and your “add-ons” such as gift wrapping, etc. Show her how just a little bit of time and an even smaller amount of “work” (like getting you her guest list) will help her earn her holiday gifting. For the outgoing spontaneous guest – offer a free Vacation using the Vacation Vouchers from companies like TwentyDestinations.com. These vouchers offer a guest a two-night stay in their choice of destinations – and it only costs you twenty cents! TWENTY CENTS! I used one to visit New Orleans a few years ago and it worked like a charm! Print out a pretty envelope with your information on it and voila! You are the gifter of vacations! Also – make sure you carefully look at each order form as your guests walking into the ordering room and see who marked that they were interested in having a party, or in the business, OR who has made a mark next to items on their order forms. This is a big reason why you tell them to “make marks” as you go through things in your demo – they don’t know they are creating a “wish list” for you just like that! When you cater your offer to meet the person’s need, it is easier to close the deal to get the booking. Taking a page from Customer Care and making sure that you are offering the party because it is in their best interest will help you fill your calendar again and again!